The Digital Library of Georgia is pleased to announce the release of historic Roman Catholic Diocese of Savannah newspapers to the Georgia Historic Newspapers Archive (GHN), part of the Digital Library of Georgia, based at the University of Georgia Libraries. The historic Roman Catholic Diocese of Savannah publications include the Bulletin (1920-1962) and the Savannah Bulletin (1958). In an effort to fight Catholic prejudice and resist the spread of false information regarding Catholic beliefs and history, the Catholic Laymen’s Association (CLA) of Georgia was founded in 1916. The CLA published pamphlets that explained Catholic beliefs for several years before establishing The Bulletin of the Catholic Laymen’s Association of Georgia in January of 1920. 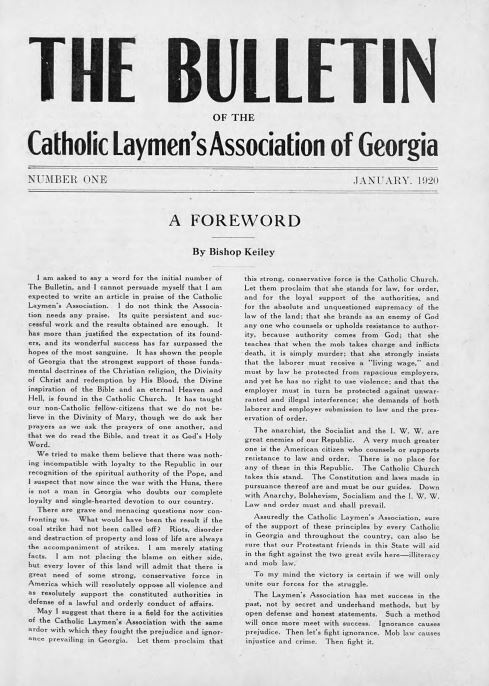 The Bulletin ran as a monthly newspaper out of Augusta until 1956 when the organization changed the name to The Bulletin of the Catholic Laymen’s Association of Georgia, Official Newspaper for the Diocese of Savannah & Atlanta; this change coming after the diocese divided into two regions, Atlanta and Savannah. For a few months in early 1958, the Diocese of Savannah published the Savannah Bulletin, before the Bulletin began circulating two editions for Savannah and Atlanta through 1962. In 1963, the publication split into two separate diocesan papers, The Bulletin (Archdiocese of Atlanta) and The Southern Cross (Diocese of Savannah). The CLA disbanded in 1962, but the paper continued and exists today as the bi-monthly Southern Cross. 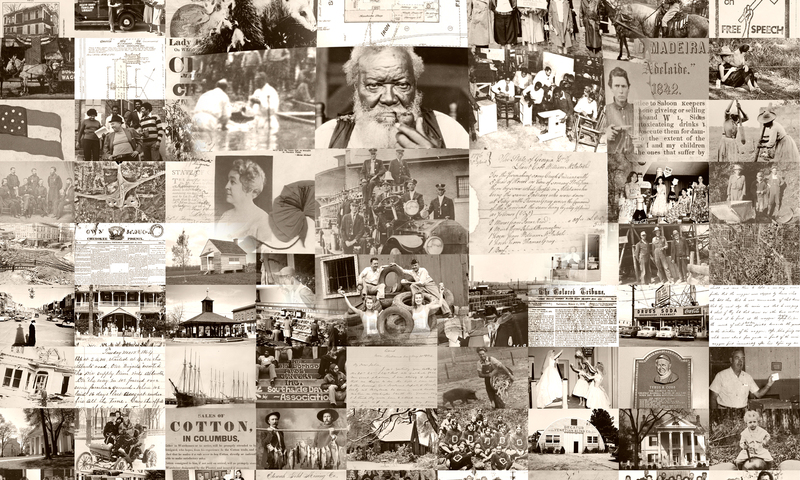 All images are full-text searchable and can be browsed by date and title. The GHN site is compatible with all current browsers and the newspaper page images can be viewed without the use of plug-ins or additional software downloads. The Roman Catholic Diocese of Savannah was formed in 1850, comprising the entire state of Georgia and a large part of Florida. The Diocese currently comprises 90 counties in South Georgia and covers 37,038 square miles. The Bishop of the Diocese of Savannah is the Most Reverend Gregory J. Hartmayer, OFM Conv. The mission of the Diocese is to proclaim the Gospel of Christ and the teachings of His Church.